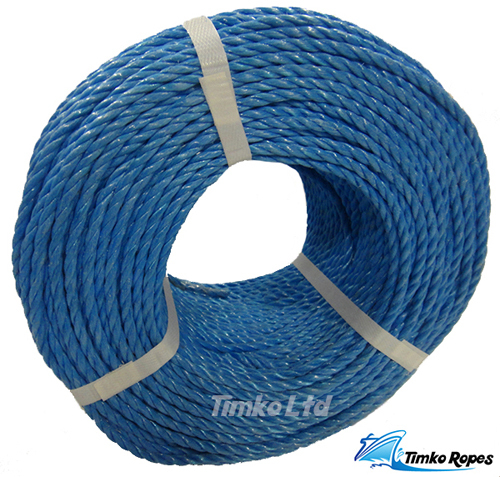 4mm strong blue polypropylene 3-strand twisted rope supplied in a commercial 220 metre bulk coil. Break Load is approx 375kg. This general purpose rope is used widely in agriculture, building trade, DIY, industry, marine and domestic uses. Our polypropylene rope floats and it is very tough, light weight and has a low stretch.